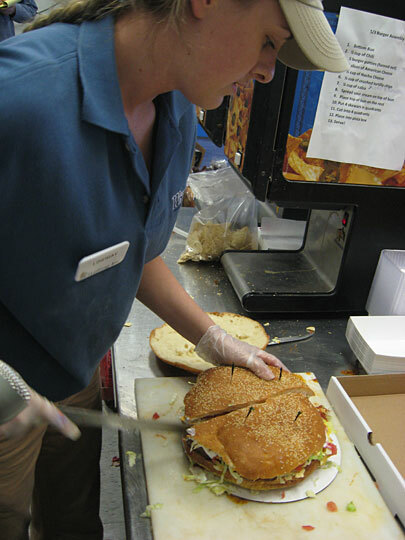 “Last week, the West Michigan Whitecaps minor league baseball team sold more than 100 mega-sized burgers on opening night. “It’s made with five patties plus chili, American cheese, nacho cheese, tortilla chips, salsa, lettuce, tomato and sour cream — all piled on an 8-inch bun. “The mammoth meal weighs more than 4 pounds. And, even in this era of scaling back, plenty of people took on the burger by themselves. A video of the burger being prepared can be viewed here.